From the end of June through August 9, for six wonderful weeks, I was privileged to work as Visiting Research Fellow of the Manchester Wesley Research Centre. My project, ‘Bearing Witness: Spirit Baptism in the Life of the Pentecostal and Her Community’, is an ongoing one which will culminate in a monograph examining the personal and communal meaning and significance of the experience of Spirit baptism for the Wesleyan-Pentecostal tradition. Oddly enough, little research has been done on how early Pentecostals actually experienced what is arguably the major distinctive of the movement. For a number of years, I’ve been working through early Pentecostal periodicals which have now been digitized and are easily accessed, and have been able to publish an article here, a chapter there out of that research. But what is increasingly and painfully absent from my vocation as a scholar is the time and space to do such work. For many of us who work in Christian higher education, especially in Evangelical institutions, teaching loads are increasing while research time and travel funds are decreasing. The value of six weeks of concentrated research time and space is inestimable in the life of the teacher-scholar. To be awarded this fellowship which provided lodging, access to archives, and a small stipend for weekly food expenses was a wonderful gift to me. In some ways, it was a gift of sanity! When one feels called to teach, but also to research and write, an imbalance in those three facets of one’s vocation—three facets that require integration—is quite frustrating and disorienting. So, the gift of time and space, is invaluable and allows the scholar to reorient herself. As a Wesleyan-Pentecostal, it’s important for me to discover the connections and resonances between Wesleyan and Holiness movements and early Pentecostalism. The Nazarene Theological College/Church of the Nazarene in Great Britain Archives provided an unexpected link, one that brought much of what I knew intuitively into focus, providing real evidence, and, deconstructed what some other historians had erroneously assumed. The archives hold a full run of Tongues of Fire, a periodical published by the Pentecostal League of Prayer (PLP). Though this was a Wesleyan organization and not identified with the emerging Pentecostal movement, it is significant because the Anglican vicar Alexander A. Boddy, leader of the Pentecostal movement in England, convener of the Sunderland Conferences, and publisher of Confidence, was a member of the PLP for years and served as secretary of the organization for the north of England; further, he was a speaker at their annual conferences. So, access to this periodical, which has not been digitized, gave me real insight into Boddy’s own spiritual formation as well as to his vision for the Pentecostal movement, which, I now believe, was based on the PLP model. This has not been explored by Pentecostal historians to date. In fact, the assumption has been that Boddy was influenced by the Keswick movement, with little evidence to support that thesis. Boddy’s Wesleyan influences had all but been ignored. I must add that it was in conversations with David Bundy that pointed me to Tongues of Fire. Being able to read through these issues, in that space provided, for days on end, gave me a lens through which to read testimonies of Pentecostal experience in Sunderland, and those experienced elsewhere in Europe and reported on by Boddy in Confidence. Because of this time and space, and these hitherto unexamined resources (at least they are unexamined by Pentecostal scholars to this point! ), I will be able to give a plenary presentation at the 2019 meeting of the Society for Pentecostal Studies. The title of that address is ‘Receiving the Spirit in the Early Pentecostal Body: Sanctification, Spirit Baptism, and the Lamb Slain for Sinners.’ It was in Sunderland that these connections were made most prominently and it is because of the time, space, and resources provided through the MWRC fellowship, that I was able to see them. Dr Kimberly Ervin Alexander is Associate Professor of the History of Christianity, School of Divinity, Regent University (Virginia). I was able to spend three weeks of a one semester sabbatical at MWRC doing research for volume 14 of the Bicentennial edition of Wesley’s Works. 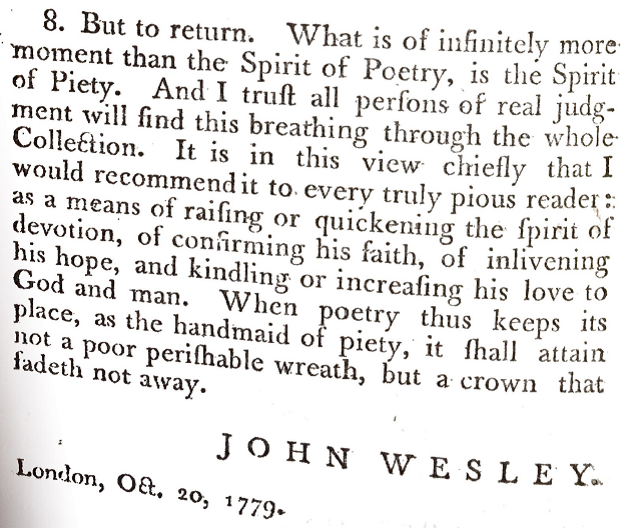 The material I needed to work on pertains to John Wesley’s interactions with the Moravians. The Methodist Collection at the John Rylands Library had all the 18th century sources I needed to study. The focus of this volume is doctrinal controversies, and the specific doctrinal controversy that ties the writings together was antinomianism. The interactions John Wesley had with immigrant Moravians and English Methodists who were attracted to Moravian theology and practice deeply shaped his ideas about how faith and works interact in the way of salvation. Disagreements were quite public as opponents published tracts to put forward ideas or respond to opponents. The Rylands has in its collection many tracts that are now in delicate condition. The Rylands reading room was the perfect place to work with these materials. The librarians always had my requested items ready for me to work on, even when one of the items I requested turned out to have been miscatalogued. Although I was here for a short period of time, I was able to do a great deal of research. I stayed at Nazarene Theological College, and from there I had easy access to the Rylands Library by tram. When I was not at the Rylands, the NTC library and Wesley Research Centre allowed me access to materials such as the other volumes of the Bicentennial Wesley Works and histories of the Moravian Church so that I could check any details I might be uncertain about. The situation worked quite well for me to get a good grounding for the remaining work I will do on my sabbatical. NTC is also only half a mile from the village businesses, so it was easy to walk to get food from markets or restaurants or to go to the bank. I was fortunate to be at the MWRC when Didsbury held its Heritage Open Days. For one weekend, the Didsbury Civic Society hosted an event where places of historic interest opened their doors to the community for free tours. Nazarene Theological College was one of the listed places of interest. I was able to join the tour to learn more of the history of the school and the historic buildings on the grounds. The MWRC is pleased to announce that Dr. David Bundy, Research Professor of World Christian Studies at New York Theological Seminary, has accepted the role of associate director of the MWRC, commencing January 2017. Bundy will work alongside Director Dr. Geordan Hammond and two administrative assistants to carry out the day-to-day work of the centre, as well as plan events and work with the centre’s 13 partner institutions. For the last six years, Bundy has lived primarily in Europe so that he could pursue research on the development of holiness movements in France, Britain and Scandinavia. He and his wife, Nancy, call southern California their North American home. Having grown up attending holiness churches in the United States, Bundy initially wrote a book on Keswick while serving on the faculty at Asbury Theological Seminary, where he taught Greek and Hebrew. His interest has developed into a life work around discovering and promoting a deeper understanding of the history of holiness and Pentecostal movements around the world, and their relationships to one another. “I was initially curious if there is anything beyond [American holiness movements], and what it is and how would it relate to us,” he said. “It has been a series of wonderful discoveries of the lives, thought and histories of interesting people and movements. After earning his M.Div. and Th.M. from Asbury, he relocated to Belgium, where he held a Licentiate in Oriental Philology and History at Université Catholique de Louvain, studying and teaching there for 11 years as well as conducting research on Syriac, Armenian, Arabic and Middle Eastern Christian studies. During those years, his interest in European holiness and Pentecostal history led him to found two Pentecostal organizations and a journal (now the Journal of the European Pentecostal Theological Association), all of which continue. Additionally, he earned a Ph.D. in European Pentecostal history in 2009 from Uppsala University. Grants allowed him to continue his work in Neuchâtel, Switzerland, and in France. He has been an invited lecturer in 44 countries, and taught graduate-level courses in 28 countries. In 2015 Bundy was a Visiting Fellow with MWRC, spending six weeks exploring in the Nazarene Theological College (NTC) archives and other repositories across the United Kingdom, researching “The British Roots of the Korean and Japanese Holiness Churches.” Bundy is now working toward a book on holiness movements in the UK, 1870-1920. The Bundys will reside in Manchester through July 2017, to continue his research and to learn more about NTC and the MWRC. Dr Bundy has authored Keswick (1975, 1983, 2012), Visions of Apostolic Mission (2009), and has contributed to reference works, including the Dictionnaire d’histoire et de gegraphie ecclesastiques, Encyclopedia of Early Christianity, Anchor Bible Dictionary, Dictionary of Religion in America, The Blackwell Dictionary of Evangelical Biography, Dictionary of Pentecostal and Charismatic Movements, Mission Legacies, Dictionary of Missionary Biography, International Dictionary of Pentecostal and Charismatic Movements, and Norsk pinsekristendom og karismatisk fornyelse. He has served on the boards of the European Pentecostal Theological Association, North American Patristic Society, American Theological Library Association, Wesleyan Theological Society, and Electronic Cultural Atlas Initiative, among other corporations and educational institutions. The deadline for applications for the MWRC Visiting Fellowships is fast approaching. There are two visiting fellowships through the MWRC with a deadline of 16 January, 2017. The first is the 2017 MWRC Visiting Fellow Programme. This programme, in its fifth year, has allowed post-doctoral scholars, such as Dr Priscilla Pope-Levison, to visit the MWRC, the Methodist Archives and Research Centre at the John Rylands Library, The University of Manchester Library, and the Nazarene Theological College’s Hugh Rae Library, all while in residence at the Nazarene Theological College’s beautiful campus for six weeks. The second fellowship is the 2017 John Rylands Research Institute-MWRC Joint Visiting Fellowship. This programme provides post-doctoral scholars, such as Dr David Bebbington, six weeks of accommodation at the Nazarene Theological College and a bursary of £150 to cover expenses while researching at the Methodist Archives and Research Centre at the John Rylands Library. Details are located at the John Rylands Research Institute webpage. All interested candidates are encouraged to apply. More information can be found here. All additional inquiries may be made to the MWRC Postgraduate Assistant at aparrish@nazarene.ac.uk. The MWRC would like to congratulate Junior Fellows who completed their doctorates at The University of Manchester/Nazarene Theological College during the 2015-16 academic year; in Wesley Studies: Klaus Arnold, Jim Coleman, Steve Johnson, and Mark Olson; and in Biblical Studies: James Romano and Linda Stargel. Click here for details about their work. It was a privilege to spend six weeks at the Manchester Wesley Research Centre as a Visiting Research Fellow for the summer of 2016. My work focused on early Primitive Methodism. I am interested in the development of Wesleyan ecclesiology, especially as related to issues of renewal, unity, and division. The Primitive Methodists are of interest as the first major revivalistic breakaway from Wesleyan Methodism. I focused my time primarily on the unpublished and published writings of Hugh Bourne, co-founder of the Primitive Methodist Connexion. Bourne and the other Primitive Methodists were very keen to clear themselves of the charge of schism. In doing this they stressed both their continuity with early Methodism and the novelty of their movement as a body of newly-evangelized people. I am looking at the arguments Bourne used to defend against the charge of schism and the theology of the church that underlies those arguments. I am also considering the interesting mix of influences that can be seen in Bourne’s theology. As was the case with many later nineteenth-century Wesleyan revivalists, Bourne was strongly influenced by John Fletcher. But he was also shaped by his contacts with the Quaker Methodists of Warrington, the “Magic Methodists” of Delamere Forest and other Independent Methodists and revivalists. His spirituality had a strong pneumatocentric focus, leading to a very participatory and egalitarian view of church and ministry. Bourne is a fascinating and complicated person, who certainly had his faults. Yet he was also ahead of his time on questions of lay representation and women in ministry. Some of Hugh Bourne’s writings are only available at the John Rylands Library, and those that are available elsewhere are still quite rare and difficult to find. I was very grateful for the opportunity to spend several weeks at the Rylands through the MWRC Visiting Fellow programme, as it gave me access to numerous sources that I would not have been able to find at home in Toronto. I also appreciated the many connections I was able to make with other scholars from the UK. At the MWRC and Nazarene Theological College I found a welcoming community and ideal base for doing research on the Wesleyan tradition. 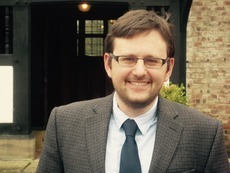 Dr James Pedlar is Assistant Professor of Wesley Studies and Theology, Tyndale Seminary (Toronto). Archives are underrated by the general public. When I utter the word, archives, in polite conversation, there’s often an eye roll or an eyebrow-crinkling quizzical look. Archives, really? What’s an archive? Isn’t that a dark, dank, uninviting place? And for a vacation—really?!? Why not the beach or the mountains, or even a big city with lots to do and see? That’s the response I heard so often when I told people that for my summer vacation I was heading to the Manchester Wesley Research Centre (MWRC) at the Nazarene Theological College in Manchester, England, as a Visiting Fellow. And I’ve had a blast! For archival enthusiasts like me—and you know who you are—the MWRC is a Methodist, archival treasure. In one room, you can find entire collections of Wesley works, the major journals in Methodism, like Wesleyan Theological Journal, Wesley and Methodist Studies, and Proceedings of the Wesley Historical Society, significant secondary source works on the history of leading Methodist figures, and a rich collection representing the Wesleyan/Holiness movement in Britain and the USA. All of these books, journals, and pamphlets are within arm’s reach of each other, so the researcher can simply look over the titles, borrow them off the shelf, and read them in one of several adjoining study rooms. There’s also the one-of-a-kind journal collection, carefully tended by the archivist, of late-nineteenth and early-twentieth-century organizations that comprised the British holiness movement, like the Pentecostal League of Prayer, the International Holiness Mission, and the Pentecostal Church of Scotland. These organizations focused on the Baptism of the Holy Ghost as a definite blessing received after conversion. I had never heard of any of these organizations before coming to the MWRC, but I ended up spending most of my time at the MWRC immersed in two decades of the Pentecostal League of Prayer’s journal, Tongues of Fire. Reader Harris (1847–1909) founded the League in 1891 in order “to spread Scriptural Holiness by unsectarian methods broadcast through this and other lands.” The grassroots emphasis of the League galvanized around forming prayer unions, or Centers, in which twelve or more people met weekly to pray for revitalization along holiness lines of individuals and churches. What I found in terms of women’s involvement in the League astounded me. The League provided unparalleled opportunities for women in public ministry in late-nineteenth-century Britain. At every major conference and annual convention, at missions in churches, at holiness meetings, in short, at any public gathering sponsored by the League, women—and many of them—spoke to mixed audiences of men and women. In addition, more than a hundred women over the two decades served as Secretary of a League Centre, which required a quasi-pastoral role of spiritual oversight. Even more remarkable, because clergy and laity met together in the Centers, it would have been the case that female League Secretaries led Holiness and Prayer meetings where clergymen participated. I’ve learned so much during these weeks of “vacation.” Archives are underrated! 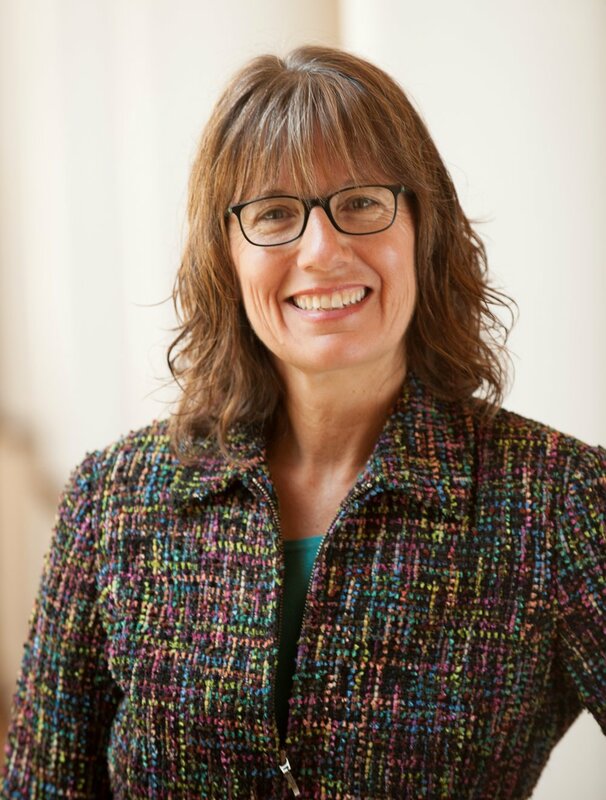 Dr Priscilla-Pope Levison is Associate Dean for External Programs at Perkins School of Theology, Southern Methodist University, Dallas, Texas. "Over the course of the two years, I served as postgraduate assistant for the MWRC. My main responsibility was keeping the website updated. It was a privilege keeping in touch with MWRC Fellows around the world so I could keep their profiles up to date. I also spent time organising and promoting the Annual Lecture and Colloquium; updating bibliographical information of our library; and assisting with the George Whitefield letters project that Geordan Hammond has been spearheading. 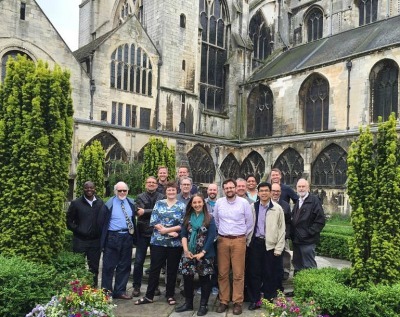 The experience with the MWRC provided me with opportunities to meet dozens of scholars from around the world in Wesley studies, theology, and biblical studies. Most of all I enjoyed working with two of the world’s leading Wesley scholars, Howard Snyder and Geordan Hammond." On 1 September, Josh Bloor assumes his responsibilities as the MWRC Postgraduate Assistant. Josh, who resides in Manchester, is a doctoral student at University of Manchester/Nazarene Theological College, having earlier completed a masters degree at NTC. His doctoral research is in biblical studies and focuses on the book of Hebrews. Josh has already done some work for the MWRC, having produced the current MWRC brochure. Josh succeeds Kelly Yates, PhD student at NTC currently completing the final draft of her thesis. Kelly has served as PG Assistant for the past two years, helping with many details including maintaining the MWRC website. She has served with distinction, and the MWRC is pleased to have someone equally qualified to pick up the many MWRC administrative details that Kelly handled so well. 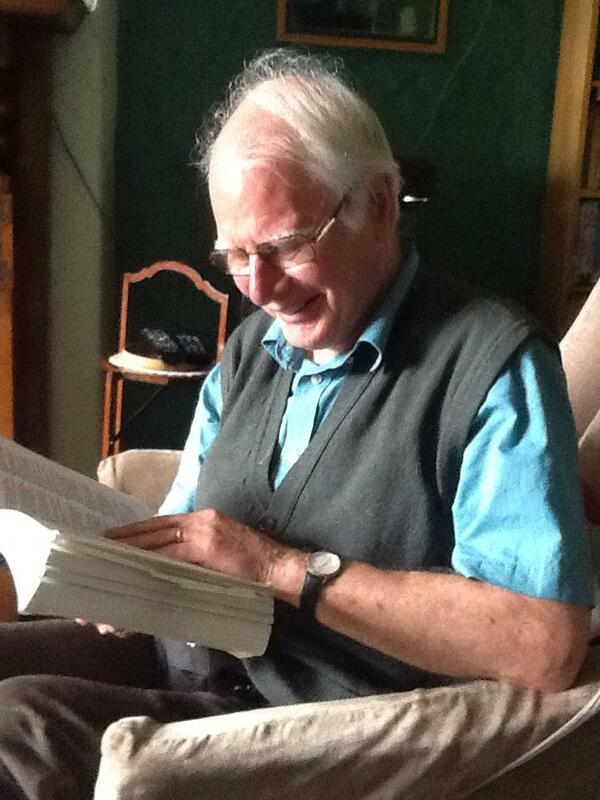 The 2016 lecture will be given by Professor Kenneth J. Collins on Tuesday 14 June at 5:00 PM at J.B. Maclagan Chapel Nazarene Theological College, Dene Road, Didsbury, Manchester, M20 2GU. The title of his lecture is: 'The Method of John Wesley's Practical Theology Reconsidered'. It will be streamed online at: www.livestream.com/ntcmanchester. Sponsored by the Church of the Nazarene’s International Board of Education. There will be a time of reflection, discussion, and reception. 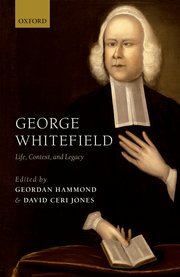 George Whitefield: Life, Context, and Legacy, edited by Geordan Hammond, our co-director, and David Ceri Jones will be published this month in the UK by Oxford University Press. For North American discount code, click here. For UK discount code, click here. from 09.15 to 16:00 on 27 April 2016.